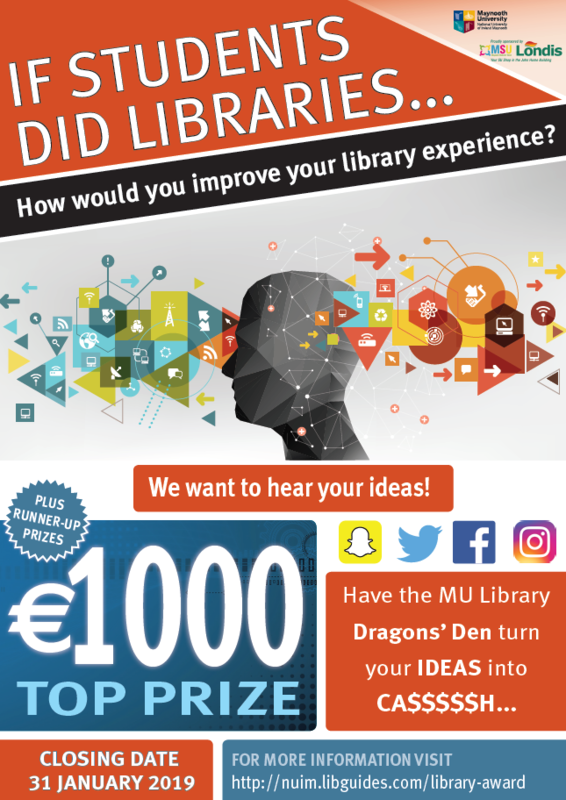 Maynooth University Library, in conjunction with Maynooth Student’s Union (MSU) Londis Shop, is delighted to launch the Innovation Competition 2018/19. The concept of the competition – “If students did libraries….”, allows students to have a say in improving their library experience. Upon submitting an idea, a judging panel will shortlist all entries. If the idea is shortlisted, the student will be invited to pitch it to a judging panel in a “Dragons’ Den” final in March 2019. €1000 will go to the winner as well as runner up prizes. 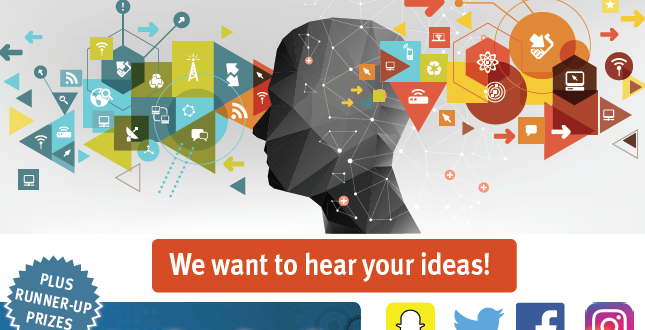 This is the second Innovation Competition run by MU Library. The previous winning idea was the installation of ‘sleeping pods’.